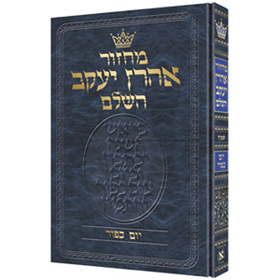 The all-Hebrew ArtScroll Siddur has impressed many a person and whet many an appetite. Requests flooded in for the same kind of Yom Kippur Machzor. Here it is! Nusach Sefard only.